In today’s increasingly technology-heavy workplace, the millennial workforce continues to grow and thrive. According to the Pew Research Center, the millennial labor force surpassed Generation X as the largest in the workforce in 2015. In fact, Pricewaterhouse Coopers estimates that millennials will make up 50% of the workforce by 2020. As they continue to grow and baby boomers increasingly retire, more millennials will assume management positions. In the recent two-part episode of Paycom’s HR Break Room podcast, guest Adam Smiley Poswolsky, author of The Quarter-Life Breakthrough, spoke about what businesses must do in order to make that transition as seamlessly as possible. Here are four key takeaways from that conversation. 1. Purpose-driven workplaces draw millennials. With 90% of millennials wanting to use their skills for good, they are demanding that companies provide purpose and meaning, so that their day-to-day work is not just an 8-to-5 job, but also something that defines them. They want to feel valued in their work and that their work is making a difference, so much so that half of them will take a pay cut to find work that matches their values! In order to attract and retain top talent from this generation, creating a culture of purpose and meaning is essential to organizational success. 2. A transparent workplace is critical. In order to meet the needs of today’s workforce, employers should strive to be clear about what working there is like. The most forward-thinking organizations realize that millennials are going to research company culture, whether through Glassdoor or the grapevine, so recruitment efforts should clearly communicate the benefits and mission. Training and technology are especially popular among millennials, who are seeking purpose-driven opportunities that offer the opportunity to leave an impact. With so many young people in the workforce, the workplace has become an extension of the classroom. Unlike baby boomers and earlier generations, millennials have to do more than to be good at just one thing and ride that skill for the next 40 years, thanks to the nature of technology and the state of the economy. In order to retain the most ambitious employees, you have to keep teaching them new desirable skills. 3. Millennials operate by a management style all their own. A Global Workforce report states that 25% of millennials in the workforce will take on management positions. With the same report indicating that 3.6 million baby boomers will retire by the end of this year, it is essential for organizations nationwide to begin adjusting to the needs of the millennial management style. Millennials are huge fans of collaboration and always looking for new ideas to get things done faster and more efficiently. They prefer co-leadership to more traditional hierarchical structures and are not as interested in doing things because “that’s how it’s always been done.” Even if not every idea is accepted, millennial managers like to give their talent room to try new things … and even room to fail. This emerging style is going to prove especially important as the next generation of employees, Generation Z (born between 1994 and 2010), begin to enter the workforce. They value authenticity and want to work in an organization where their ideas are heard, regardless of job title. This interest in transparency and innovation makes them a more natural fit to be led by millennial managers. 4. Millennials and Generation Z embrace learning through technology. Collaboration and transparency are easier to achieve through technology, a key building block to any successful employee experience. Today’s top talent find and apply jobs through the internet, and then learn more about prospective employers the same way. Once they set themselves on a career path, they have become accustomed to learning new skills through YouTube videos or listening to podcasts. 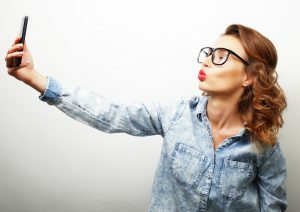 Both Millennials and Generation Z have grown up having instant messaging tools, video streams and high-speed internet connections at their fingertips at all times. To create a seamless and attractive employee experience, employers should ensure such tools be incorporated into the workplace, at every stage from onboarding to retirement. Companies that truly understand how to use such tech tools as online learning platforms and surveys will be able to create an organization that is transparent and collaborative, and a culture that is efficient and goal-driven.